Gain the AccessData advantage with our proven services experts with varied and extensive backgrounds, coming from law enforcement, counterintelligence, corporate security, government agencies and legal firms. AccessData experts will acquire and preserve data from all devises across your network. Using our proprietary technology, we can search and collect from hundreds of computers across your enterprise, including employees’ laptops and removable media, even if they are not logged into your network. These capabilities are just a few ways in which AccessData differs from other service providers. AccessData offers advance forensic analysis of computers, mobile devices and network communications, delivering a comprehensive view into exactly what happened and who was involved. Our services experts have extensive experience investigating criminal and civil matters, as well as data theft, fraud and other employee malfeasance issues. Because we perform integrated analysis, correlating host data with network traffic data, AccessData Professional Services can retrace and monitor a suspect’s steps, including the use of removable media, as well as social media and chat applications. Our solutions give us visibility into everything happening across an enterprise, including the ability to detect malicious binaries and unapproved applications without relying on signature-based tools. AccessData can proactively or reactively audit and monitor your enterprise to detect or validate suspicions of data theft, data leakage, fraudulent activity or other malicious behavior. Get the most experienced digital forensics analysts in the world. As digital forensics professionals we adhere to civil and criminal guidelines and provide objective analysis and reports, advising you every step of the way on the case at hand and how the digital evidence may be interpreted. AccessData Professional Services will ensure you have all the electronic evidence and supporting analysis you need, so there are no surprises from the other side. AccessData experts will audit your massive data universe quickly, efficiently and defensibly. AccessData experts can audit your entire data universe to perform an “early data assessment.” Our experts are equipped to handle even the most massive collection requirements quickly, efficiently and defensibly. In addition to collecting ESI, AccessData also provides backup tape extraction and media conversion. This data can then be indexed with any collected ESI for attorney review via our web interface or for export to you. Get speed, accuracy and the forensic processing difference with FTK-built processing technology to handle the most complex file types with ease. AccessData Litigation Services is a processing powerhouse currently supporting the enormous processing needs of today’s largest litigations. The heavy-hitters choose us because of our speed, accuracy and the forensic processing difference – meaning our dedicated team uses the FTK-built processing technology to handle the most complex file types with ease. We never drop data or skip files so you can always count on a complete data set. AD’s distributed processing model means we can decrypt, extract, OCR and categorize data faster than any other service on the market. After processing we offer extensive filtering and analysis options to help you with early case assessment and the reduction of data you send on to final review. Proactive and reactive compromise assessment in hours not days! AccessData Professional Services can accomplish in hours what normally takes multiple departments and numerous resources days to achieve. Our technology makes it possible to scan your entire enterprise to perform a comprehensive impact assessment without having to sift through logs and manually correlate data. 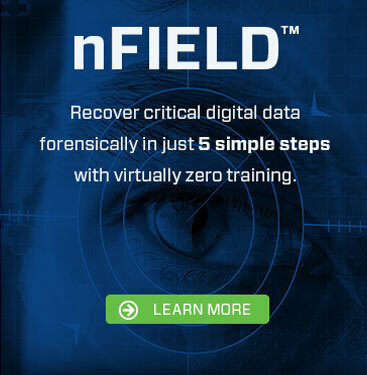 Get actionable intelligence around a malicious binary faster than any other service provider. This initial analysis reveals critical data that other providers require a sandbox environment to uncover. Therefore, we’re able to give your behavior and intent information without triggering any sandbox avoidance or other defense mechanisms the malware may contain. Once we’ve triaged the binary, revealing the following attributes, we can then perform the traditional reverse engineering to provide even deeper details. Hands-on services to ensure your compromise is securely and thoroughly resolved. Once we’ve identified all compromised nodes and built a threat profile, we can launch Batch Remediation to kill any malicious processes and wipe data. Remediation is executed on all targeted nodes simultaneously, which greatly enhances our ability to prevent further proliferation and additional damage.